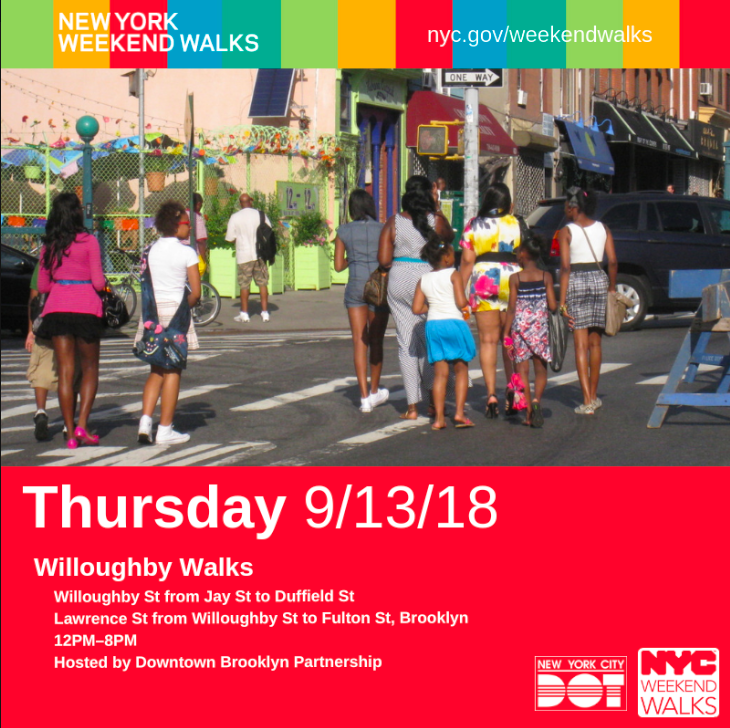 DOWNTOWN BROOKLYN – Downtown Brooklyn Partnership (DBP) and the New York City Department of Transportation (DOT) launch “Willoughby Walks” today, temporarily transforming the blocks surrounding the intersection of Willoughby and Lawrence Streets into a public playground. From 12pm to 8pm today and the next two Thursdays (September 13, 20, 27), the commercial thoroughfares of Willoughby and Lawrence Streets will be closed to cars, blanketed in Astoturf, and divided into activity areas. Three blocks of Willoughby will be closed from Jay Street to Duffield Street while one block of Lawrence will be closed from Willoughby to Fulton Street. 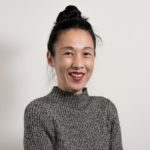 Residents and workers in Downtown Brooklyn can stop by during their lunch break or after work and take a fitness class, kick a soccer ball, play ping pong or giant chess, Connect 4 or Jenga, or just relax on a beach chair and enjoy food from local vendors. A stage outside Circa Brewing (141 Lawrence between Willoughby & Fulton) will host live music and dance performances, including the popular salsa dance party with Salsa Salsa Dance Studio from 5pm to 7pm. Last September, DBP and DOT hosted a similar event further west at Willoughby and Pearl Streets. 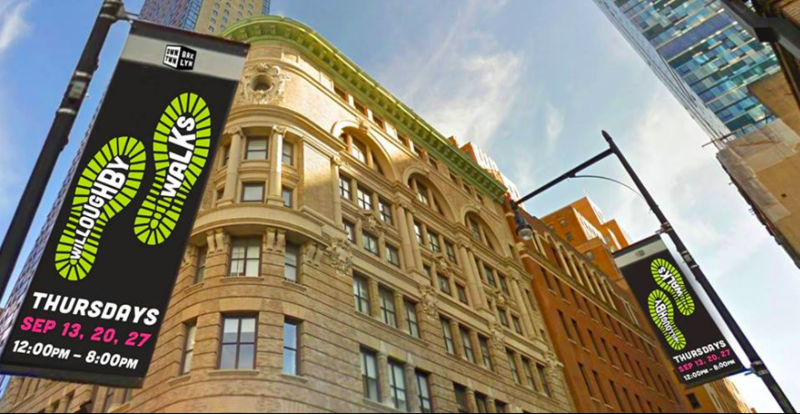 Learn more about “Willoughby Walks” at downtownbrooklyn.com.